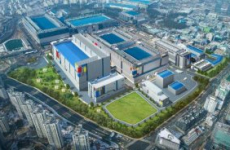 After net sales dipped from 3.4 billion euros in Q4 2018 to 2.2 billion euros in Q1 2019, ASML expects quarterly revenue to start increasing from Q2 onward. 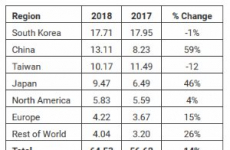 Even though macroeconomic development still casts doubt on future semiconductor demand, upcoming technology transitions will take place no matter what. ‘We see accelerating growth through 2019 on the back of significant technology transitions, primarily in logic,’ comments CEO Peter Wennink. 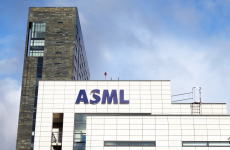 ASML forecasts net sales of 2.5 to 2.6 billion euros for Q2, while confirming its original outlook for 2019 to at least match 2018 revenue levels. The longer-term outlook for 2020 (13 billion euros) and beyond (15 to 24 billion euros in 2025) also still stand. Supporting said technology transitions is the NXE:3400C EUV scanner, which can process up to 170 wafers per hour. 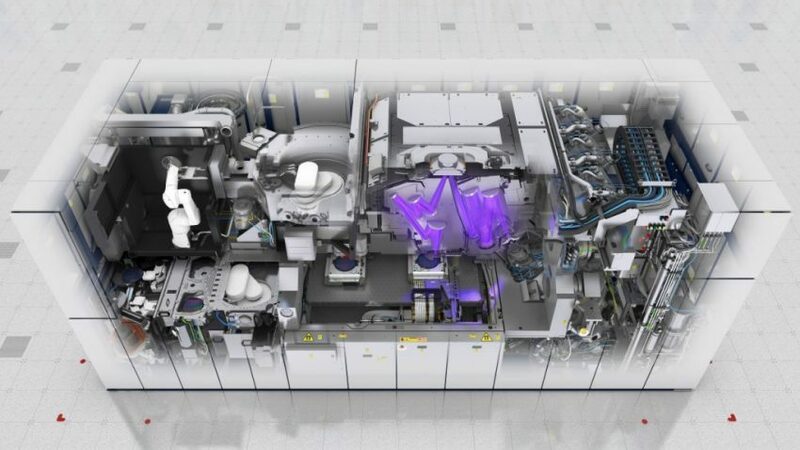 Unable to increase EUV scanner production, ASML previously accelerated (link in Dutch) this model’s introduction so customers could satisfy their capacity needs for volume production. 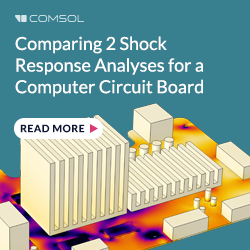 The system will be used in logic production at first, but DRAM companies are expected to adopt it as early as next year. The first set of NXE:3400C optics has arrived at the Veldhoven factory, ASML reports. The corresponding system is scheduled to ship in the second half of 2019. As soon as NXE:3400Cs start being deployed, ASML will see a sharp increase in EUV service revenue, as it is paid by the wafer. On the e-beam metrology front, ASML reports making progress on improving both sensitivity and productivity. ‘We are on track to deliver a multi-beam system this year for R&D, moving to commercial product shipment in 2020,’ ASML states in a press release. 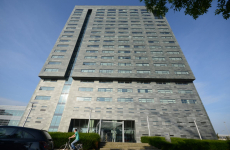 Currently 80 former Mapper employees are working on the multi-beam systems and another 20 on the Yieldstar optical metrology system, meaning 100 of about 130 former Mapper researchers and developers accepted a position at ASML after the e-beam direct-write company from Delft went bankrupt (link in Dutch).